Cryptocurrencies and Blockchain, the future is here! It has been for a while in fact, going back to 2009. Like many technologies it does take time for adoption, but only about 1% of the world is currently using Cryptocurrencies on a daily basis. So if you think; am I too late to start? Then think again. How can I get involved and what is Blockchain technology? There are many types of Cryptocurrencies, but the one that everyone would have heard of is Bitcoin. This has to be by far the largest Market Capitalisation of any of the coins and is helping to drive this market to close to a $1 Trillion market cap. Bitcoin is a digital currency that helps with instant transactions, cutting out the middleman; i.e the Banks. This makes Cryptocurrencies decentralised, putting you in charge of your own financial future. These coins sometimes referred to as Alt Coins (anything that isn’t Bitcoin) or tokens are transacted over a network that is called the Blockchain. This is a kind of operating system for a better description, but the uses are vast and not just for transferring money. Using digital cryptocurrencies is the only way that we can empower people from all walks of life, no matter where in the world they are from, to be in control of their own money. This is the greatest opportunity to finally lift those out of financial poverty who cannot open bank accounts because they are too poor. With Cryptocurrencies, as long as you have access to the internet you are up and running. The founding father of Bitcoin is a mysterious figure who goes by the name of Satoshi Nakamoto. He/She or they understood what the root of all evil was. The root problem with conventional currency is all the trust that’s required to make it work. The central bank must be trusted not to debase the currency, but the history of fiat currencies is full of breaches of that trust. Banks must be trusted to hold our money and transfer it electronically, but they lend it out in waves of credit bubbles with barely a fraction in reserve. We have to trust them with our privacy, trust them not to let identity thieves drain our accounts. Fiat is issued without limit by a central bank. (Legal Tender of the currency in your country i.e Pound Sterling). In simplistic terms the blockchain is a limitless chain containing many blocks. These blocks on the chain are where the data is contained. The data that is stored in these blocks is the valid verification of each transaction. So for every transaction that gets approved, it will be added to a new block. This block is sealed once the transaction is complete and the data within cannot ever be removed or altered. It is a permanent record of everything; kind of like a ledger. You might ask who approves or validates these transactions? Miners. There are others on the network that are rewarded in Bitcoin or other Crypto; depending on which Blockchain, for their assistance in validating these transactions. 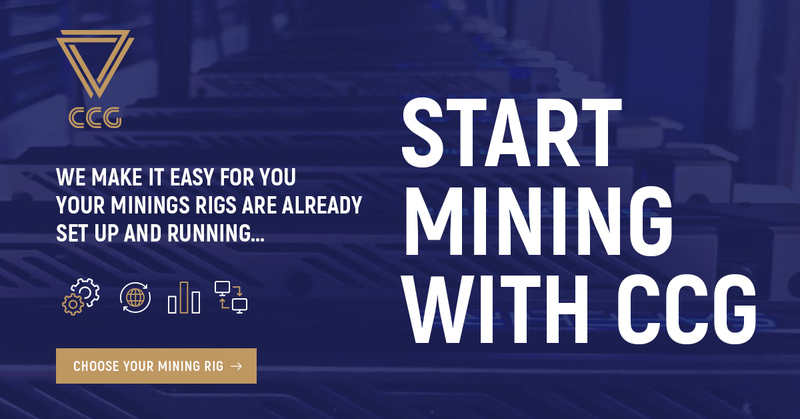 These miners have computers that complete complex algorithm’s to validate each transaction where there has to be at least 6 separate validations before being approved on the blockchain. This means that nobody can cheat the system. A truly democratic decentralised world. Other potential uses for the Blockchain technology is storing Medical Records, Legal Documents and be used for more democratic voting systems to prevent fraud. So, after reading all of the above, it is evident that we must embrace the future and be part of this decentralised network. That is why Green Phoenix will start to accept Cryptocurrency as an alternative to Fiat currencies. Below are some useful links to help you get started. If you want to buy Bitcoin, Ethereum or Litecoin, then please use the link to Coinbase below; you will receive free £7 worth of Bitcoin as an introduction once you buy £74 worth. Remember, you do not have to buy a whole coin, only a bit. The smallest decimal of a Bitcoin is called a Satoshi after its founder. Once you have bought your coins and you have bought a significant amount, I would recommend purchasing a Hardware Wallet to transfer them to. A significant amount would be deemed to be when the cost of the Hardware Wallet is at least one tenth of your total Cryptocurrency holding. So if the Hardware Wallet costs £74, then anything over £74 would mean a Hardware Wallet is definitely recommended. Unfortunately in this day and age I would not recommend keeping any of my Crypto assets online. The Ledger Nano S is the best and highly recommended in the industry. Also, feel free to get in touch to discuss anything on this exciting subject. Great report! You have opened my eyes to cryptocurrency. Could you pls contact me with regard to more info about cloud mining. Cloud mining is a great way to get some passive income. Instead of HODLING (hoping value will increase over time) as they say in the crypto space, you could earn more by Mining. Mining is simply helping to approve transactions on the Blockchain. You get rewarded in the Digital Currency you are Mining. If you click any of the two links above (either Hashflare or CCG) they will take you to their websites where you can decide which Cryptocurrency you would like to Mine. You can start off with a small amount of money and get great ROI’s. The more Hash power you have the better returns. This is not financial advice and you should not invest money that you cannot afford to lose.